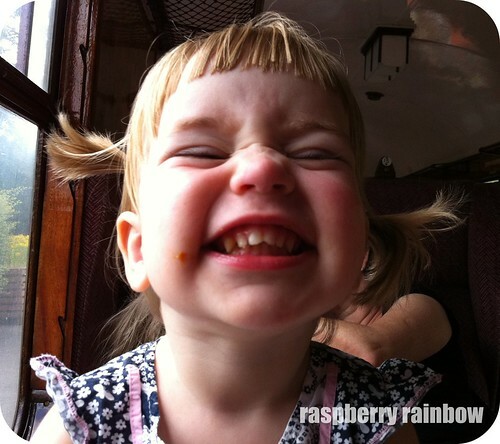 Take one cheeky girl turning two next week. She usually has a dirty face. She now has two chipped front teeth. A silly smile we see so often. A home made gift from mamma is in order. Made with love. Add a pile of gorgeous fabric. A red theme is happening here. 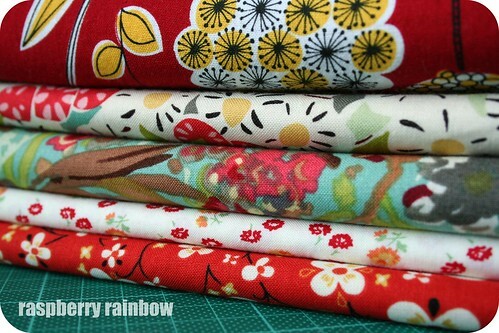 Slice and sew and arrange lovely fabric. Voila! You get this red delicious bunting. Early Happy Birthday to you, my darling Zoe. You are our sunshine. What gorgeous bunting. She will love it. Lucky girl. Such pretty bunting for such a pretty, smiley girl! She'll adore her bday! You make me want to make some more now!! Really really gorgeous Cat! yay bunting! love the stuff! Hi Cat..I can see you've used some very special fabrics in this one..well deserved for a special little girl's birthday! 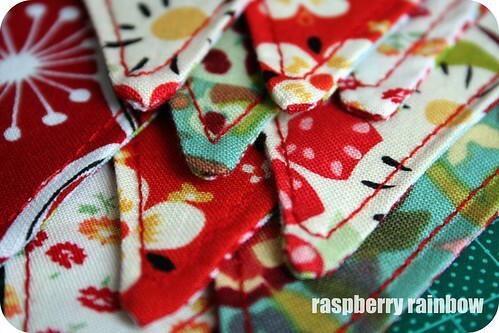 such pretty bunting! and my handsome little 2yo man did the exact same thing to his front teeth. oh well! 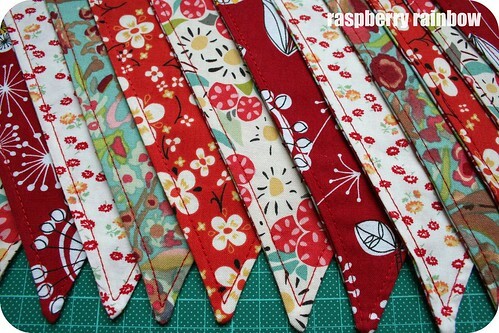 Very pretty fabric bunting! And a very bappy birthday to your gorgeous little girl! Oh, this is such an adorable photo. And that bunting. Well, I'm speechless. beautiful bunting!! love those fabrics! Happy Birthday to cute little Zoe! Must be so nice to finally be back to seeing and getting settled in your new home. Love the colors of your bunting. Happy Birthday to you little cutie. I love the colours you chose for the bunting, lovely selection. I hope she has a wonderful day celebrating. Loving all that yummy fabric hope your daughter enjoyed her birthday.